Enjoy this luxury apartment in the very heart of Sydney, luxury furnishing, 65sqm large space, king size leather bed, high quality mattress for good night sleep, air conditioner, double shower, right next to darling harbour, Sydney CBD and the Rocks, within 15 minute walk to Opera House and many other attractions. Parking in the building is not available. Security deposit of $350 is payable at arrival, which will be fully refunded the next day after your stay if keys are returned and there's no damage/breakage. I have lived in Sydney over 27 years, I know the city extremely well, and now get to know the eastern beach areas. I have been in travel and web development businesses over 17 years. 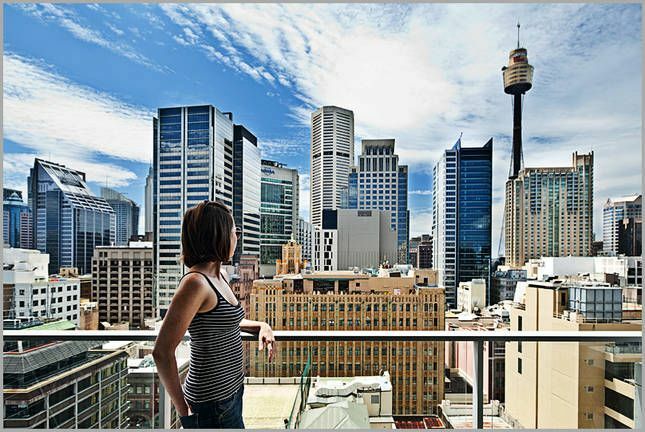 We manage great properties in Sydney city and Clovelly, with great quality, bright, spacious, with good view, very clean and well maintained. We welcome guests whom i would love to rate 5 star on the stayz review form after departure - cleanliness, communication, observance of house rule.. We would also offer our best service to make your stay as comfortable as possible. WHY BOOK WITH US 1. Conveniently located, Bright, Beautiful Space and constantly being updated. We care.. 2. Well serviced, Super reliable and responsible hosts, we are always there for you. We treat our guests how we like to be treated. 3. Value for money.. Our rates are generally based on min. one month stay, which are not much more than the cost of renting these fully furnished apartments on long term basis. If you find cheaper rates, do compare the location, quality and service. The Pool and gym are open from 7:00 am to 9:00 pm 7 days a week. You can use MINDBODY app to check Fitness, Wellness and Beauty shops near our unit. Please note that there are fireworks on at darling harbor on some Saturday nights Until June. It’s well worth a visit as they are beautiful. Check the times on darling harbor website. https://darlingharbour.com/whats-on/fireworks/ We like to keep a clean and tidy environment. Please be considerate of our apartments and our neighbours and dispose of all your garbage/compost in the red and yellow bins that are provided. If pest control or professional cleaning is required due to decomposed food/left garbage and/or pest management resulting from your own accord, you will be liable for the billed services. Very nice apartment, clean and up-to-date furniture. Nice kithen and washing facilities. The location is GREAT! In the middle of everything it seems - 5 to 10 minutes walk to Darling Harbour, QVB, shopping and so on. Two good supermarkets nearby. We recommend it. Just to say hello from the frozen north. Arrived back at Heathrow last week to minus 4 degrees. We spent the time we waited for our cab home, digging into our suitcase trying to find something warm to put on. The jetlag has been bad - which is why I have waited until now to try and type a sensible email! Anyway, this is just to say how much we enjoyed our stay in Sydney at the Rex Apartments - we didn't want to come home! Anyway, I had better do some work now ... so happy new year to you and hopefully we will visit again in future! It is a really lovely place to stay, which have all necessary equipment and beautiful furnish. It is overall tidy and clean. It is a good place to stay for long holiday or even live in. First class apartment. Very clean. Awesome location. Great View.